I already posted that Nokia is into manufacturing a Windows platform smartphone in which its PureView technology will be used along with 41MP rear camera. Till that time the device was known by Nokia EOS but a recent leak of the image and certain specs cleared the name of the device. It will be known by Nokia Lumia 1020. Yes, Nokia Lumia 1020 is going to be the device which will be having 41MP camera at rear along with Nokia’s PureView technology. Few pictures of the device have been already leaked but this time I’m going to tell you about the specifications of the Nokia Lumia 1020. The Nokia Lumia 1020 is going to be build of either metal or a polycarbonate (not confirmed till now) but from front the design is going to be identical to any high end Lumia device but the back part is going to have some mysterious things. The back part is going to have EOS camera with Xenon flash. Nokia has done really good work in keeping the 41MP camera with the smartphone without increasing the thickness to great extent but it’s going to be a bulkier device for sure. The display is going to measure 4.5 inch diagonally and Nokia is going to use AMOLED panel in this device. The resolution is expected to be 768×1280 pixels and Nokia will be using its ClearBlack display technology in the device. Yes, off course the display is going to support multi touch and and the pixel density is expected to be more than 330 ppi. There is not much details available till now about the CPU but the Nokia Lumia 1020 is going to have a dual core processor having clock speed of at least 1.2 GHz or higher. 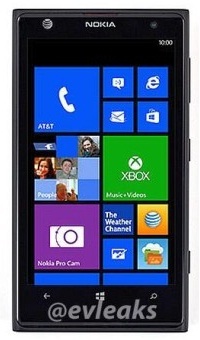 As Windows Phone OS didn’t support quad core processors so the processor is definitely going to be a dual core. The device is going to have 1GB of RAM and will be available only in one variant of 32GB internal storage. No storage expansion option is going to be there. But as I know a bit of photography so I’ve a concern with the storage. As the camera is 41MP so size of the images and videos are going to be larger than usual so storage will be required. I don’t know what Nokia planning of this issue. This section is going to be the main attraction in the Nokia Lumia 1020 as its going to feature 41MP rear camera that will be supported by Xenon flash and CarlZeiss optics technology. The camera will be having features like optical zoom, ND filter, face detection and 1080p video recording. There will be a front camera too for video calling and chatting. The 808 PureView mobile was also great on camera but it lacked a good OS but now Nokia Lumia 1020 got Windows OS so let’s see how far this combo goes. The device is going to support LTE along with Wi-Fi, Bluetooth and NFC. There will be microUSB port. GPS will also be there. Nokia Lumia 1020 is expected to arrive in the market in end of Q3 this year but it will be announced soon in this month of Q3. 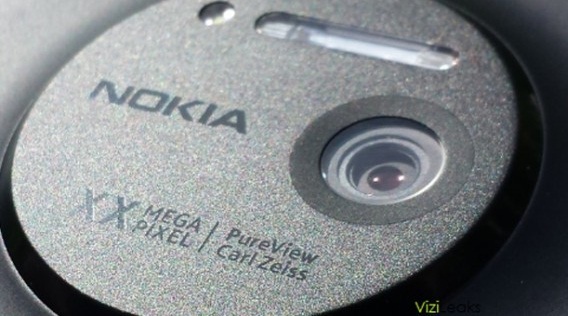 I’m very excited to see of the Nokia Lumia 1020 with 41MP camera in reality.